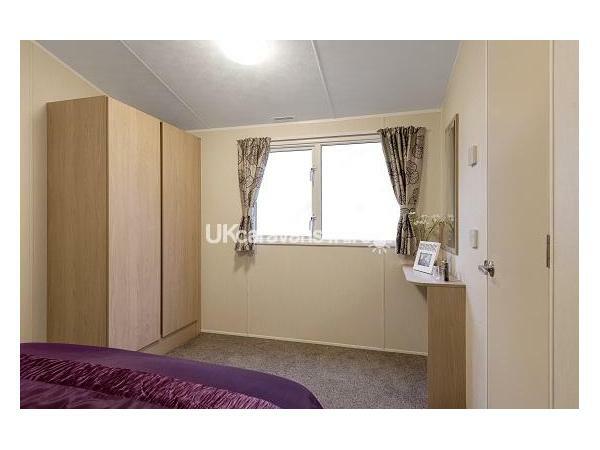 The caravan is located on a site G95, which has plenty of space around it and generally safe for children to play. Parking spaces are next to the caravan. 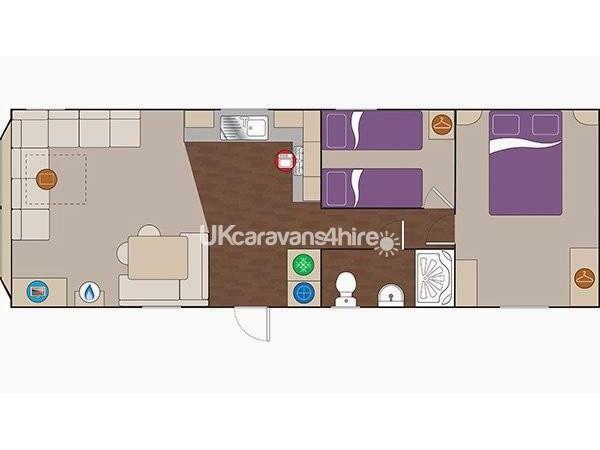 G95 is a 6 berth, Rio Gold, 36ft x 12ft caravan with one double master bedroom (with TV), and plenty of space for a travel cot. It has one twin bedded room, and one twin pull-out bed in the lounge. 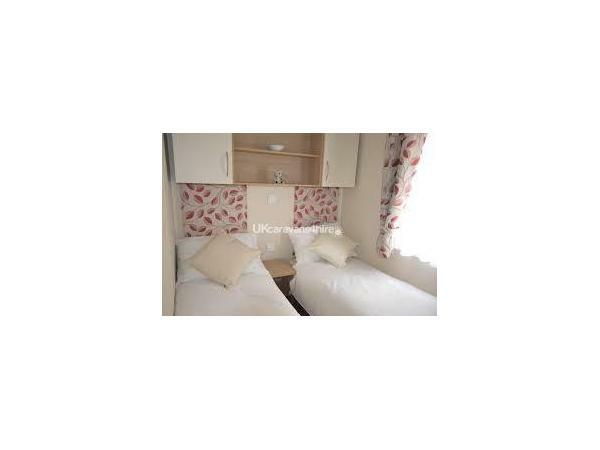 This caravan is new 2017 and in excellent condition, with fridge freezer and recently fitted with all new cutlery, crockery, toaster, microwave, etc. etc. and many extras not found in other caravans to make your stay as nice as possible. The caravan has full Electric heating, TV in the lounge with additional gas fire and is double glazed for your comfort on those cold or dreary days. Broadsands - This is on the route towards Torquay and just outside of Brixham about 10/15 minutes’ drive. It offers car parking and all facilities, including beach hut hire, canoes boats etc. This is a very safe sandy beach.